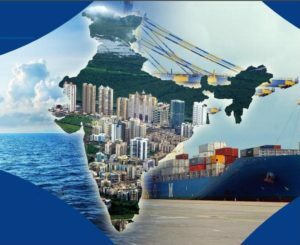 New Delhi: According to the Ministry of Shipping, the State Government of Odisha will partner the Ministry for taking ahead the ‘port-led development’ agenda under Sagarmala, the flagship programme of the Ministry. The State Government has confirmed 10% equity participation in the Special Purpose Venture (SPV) of Indian Port Rail Corporation Ltd (IPRCL) that will be formed for development of a heavy haul rail corridor from Salegaon to Paradip port. This initiative will strengthen supply-side connects from mine to port and will boost coastal movement of 140 MTPA of coal, as envisioned in Sagarmala National Perspective Plan. The rail link will serve as the last mile connectivity to transport bulk cargo of thermal coal from the Mahanadi Coalfields Ltd (MCL), via coastal shipping at Paradip, to power plants in coastal regions of southern states. It will also serve the 4 major industrial clusters- Jharsuguda-Sambalpur; Angul-Talcher-Dhenkanal; Kalinganagar Steel Hub; and port based industrial area of Paradip. Including the 3rd and 4th line development between Budhapank and Salegaon by Indian Railways, the project estimates an investment of Rs.4500 Crore. The project will be executed by the SPV between Indian Port Rail Corporation Ltd (IPRCL), RITES, Paradip Port Trust, the State Govt of Odisha and Mahanadi Coalfields Ltd.
As a precursor to this, an Inter-Ministerial Committee (IMC) meeting chaired by the Chairman, Rail Board, comprising the Secretaries of Shipping, Coal and Power was held to firm up the actionable plan for harnessing the coastal shipping potential. The IMC has awarded the approval for preparation of the Detailed Project Report (DPR) by RITES along the finalized alignment. The project is part of the port-led-development programme of Sagarmala by the Ministry of Shipping to enhance port connectivity and encourage coastal shipping of commodities to reduce overall logistic costs, thereby enabling ports to become drivers of country’s overall economic growth. In order to efficiently handle the additional volume of coal, the Paradip port is taking up a number of projects to enhance its capacity to handle coal. In the short term it is undertaking berth mechanization projects. The development of the outer harbour as a new port and capacity augmentation of the existing terminals are now being prepared by the port.